OLD PARKED CARS. 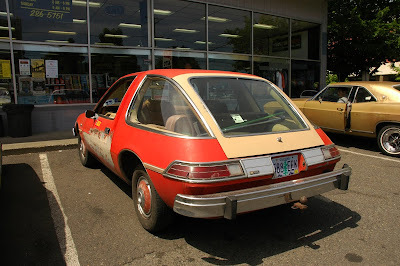 : 1979 AMC Pacer DL. Most satisfying photographic moment of the year. that's a pic for the banner. profile shot is nice, too. Why AMC even bothered to make this car is beyond me. Not only was it quite hideous, it could crank out a top speed of just 88 MPH, and a 0-60 time of 15.8 seconds, despite its 18 MPG fuel economy. Picture #2.. very nice. You couldn't have staged it better. 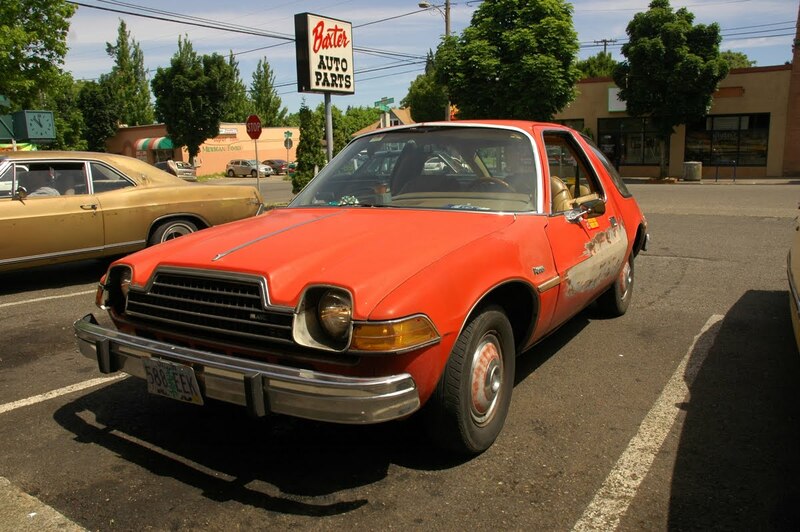 Sorry, Professor, but I don't think the Pacer is even a little hideous -- in fact, I think it looks cool. 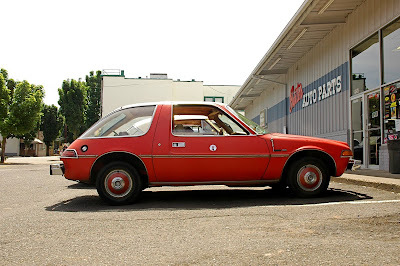 Brave designs like this and the Gremlin are one reason I still admire AMC. Love this sequence of shots of an honest Pacer survivor. Gotta love the fedora brothers preparing to dispense a dose of "motor honey" into this classic jewel. The duct tape roll coffee cup holder on the dashboard is also pure genius. 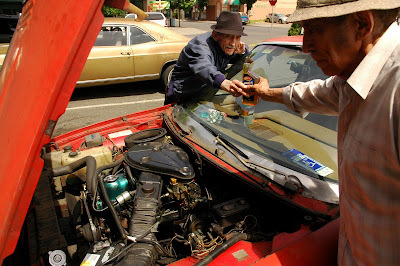 These gentlemen belong to a different era....God love em. My mom always called these 'pregnant guppies'. It warms my heart to see guys this age daily driving pieces of tin of this era. 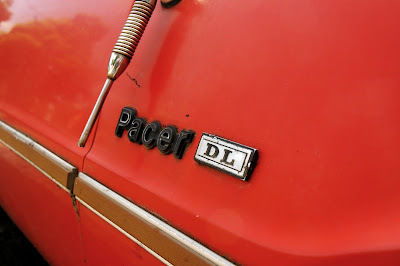 As soon as I saw that engine bay on the blog header, I knew it was a Pacer!